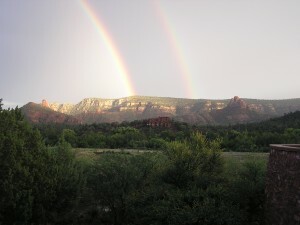 SedonaEye.com columnist Eddie S. Maddock on today in Sedona. Sedona AZ (June 16, 2018) – At some point during our lives, Rah! Rah! Sis Boom Bah! is a cheer most of us are able to relate to. With Federal, State, County and City elections on the 2018 horizon, perhaps it’s time to break out the drum roll and resurrect the well known phrase to cheer for the candidates of our choice. We are fortunate to live in a country where that opportunity is still available. Yes, indeed, freedom of speech, choice, and so many other advantages that we take for granted and, all too often, overlook our good fortune offered as citizens of a democracy. C22018-02 Mike Ward 100 Quail Run 928 282 2958 19ward48@gmail.com (Councilor 2-year term). All candidates and elected officials, past and present, should rightfully be acknowledged for their willingness to step up to the plate and offer to serve their municipalities. Whether or not we agree with their decisions, they are giving of their time and effort which quite possibly is the most generous resource anyone can offer in this day and age of hi-tech, busy schedules, and overloaded plates. Is there ever any talk about recipes for how to cut calories or go on a diet to remedy the ailment? That being said, in addition to the rather large slate running for a seat on the City Council, there is a contentious ballot measure which gets resurrected every four years. That issue is Home Rule, and there’s so much written here, there and everywhere, repetition would be just that: Repetition! The availability of Home Rule information for voters is out there at forums and in the written word and opinions from many. However, the bottom line is how individual voters feel about whether or not the system is working as-is or if they believe it might be wise to pull in the reins and curtail freewheeling spending – for at least a little while. Not forever! Perhaps just until values, priorities and agendas are forced to be reviewed, refined and more responsibly critiqued. It’s important to keep in mind that the Home Rule decision will be made by a vote of the people and NOT your elected representatives. Campaigns will ensue, costing hundreds and even thousands of dollars to convey candidate platforms. So does it mean the candidate(s) with the fattest wad in their wallets will be elected? If so, why? However, could any of them or their sponsors and supporters pay money for the gift those of us in Sedona and other areas of Arizona received today? After weeks and months of drought, today a priceless gift was bestowed on all of us. Yes, rain! Pennies from heaven bringing a brief respite from the dreadful winds, unseasonably high temperatures and fear of wildfire that would spare no one regardless of how much money they have. We respect our candidates and elected officials yet not one could serve to rescue us as did our blessed steady rainfall on this day June 16, 2018. Sedona will soon be losing a really fine long time city employee, Audree Juhlin. After more than 20 years of being a faithful and loyal employee, Audree will be moving on, leaving Arizona, and enjoying a new beginning with her husband. Onward and upward, Audree. Have a beautiful life. You hit this out of the park ! God bless the rain on our rocks ! God save us from politicians that think they know what we want when what we want is what we had before they were elected! Nobody asked them to change what we had ! Sedona is about scenery not tourists trashing our ecosystems! Keep it up and we’ll have nothing left. For sure too much attention is focused on political payouts to get preferred people elected – all over the country. Keep in mind it’s been proven in Sedona. The big money people manage to get their people in but it isn’t without a price – to benefit those paying for their election. Isn’t that called “due bills?” Why do you suppose the head of the Lodging Council, neatly attached to the Chamber, have had their way since the Great Con of 2013 when bed taxes went up and the payout continues to go to Chamber?????? Stop worrying, greed mongers, YOU offer nothing of value when push comes to shove. You can’t prevent natural acts of nature like droughts. But you contribute to potential wildfire and natural disasters by encouraging over capacity tourism that provide dangerous conditions in the event of evacuations!!! I’ve relatives in the fire service. Ask the local firefighters what they think for real not what their board hears from money grabbers. Then you and all your millions will be trapped like the rest of us who do not deserve this ill-conceived and continuous mismanagement. Bring on the rain – it’s free but hard to come by this year. Maybe Mother Nature ain’t too happy with some of you money grabbing, overbearing opportunists. Clean, simple, to the point. Makes sense to me. Enough of the verbose scare tactic by those getting all that money up for grabs. Cut it off. Now. Home Rule= Police swat team. Maybe it fulfills a real law enforcement vacuum. Everyone knows that there is a large group of senior citizen terrorists in town. When we bought property in Sedona years ago – then retired and moved to the Holding Tank To Heaven (so named by NAU at the time we purchased our property) we never dreamed we would be moving to what has turned into a government ruled by Socialists! We are sick of party-politics and cannot understand why this has happened here. We never heard of a Chamber of Commerce being given so much power. The solution? We will take trips in our motor home this summer to seek a better place, have arrangements to rent our Sedona home short-term (not through an agency thank you very much) and then make a decision how to best unload our dream turned nightmare. Sell please… That well make room for others who actually want to be here and enjoy all the good that Sedina has to offer….Houses for sale are low in inventory.. If anyone thinks Sedona will change course forget it! The Chamber of Commerce is sooo ingrained into the region the deck is stacked. Translated? They have the votes to command who will get elected as well as passage of Home Rule. The rest of you are weak sissies with no guts to force real change. Instead of backing one candidate you split the vote by offering two and defeating all chances for change. Brilliant! You reap what you sow which amounts to planting seeds to nourish your opponents. Karen Daines Osburn will take over as Community Development Director in addition to her role as Asst City Manager. That should make the gang @ Chamber & Lodging Council dance for joy. Karen D is an intelllegent and hardworking city employee..
Sedina is blessed to have her work here..
Wow touchy, touchy, touchy @@Ron. Just where was it I made any implications to Karen D’s personal qualifications? My reference was clearly directed to her past unrelenting support and recommendations for keeping a regional Chamber of Commerce as high priority in Sedona government. While at it, will throw in the most recent and biased survey that was sooooo loaded with questions and selective answers to lend even more support to the “chamber’s” aims and goals. Funny thing. They don’t even promote or allow promotional material at the “Sedona” (in name only) Chamber Visitors Center unless they are members of the chamber. And the city pays big-time for operation of that, too. No promotion from tax collecting businesses unless they are chamber members! Bummer. Yes Ms. Daines/Osburn is highly qualified. My question is who is it benefiting from her recommendations except members of the “regional” Chamber of Commerce? Why hasn’t Ms. Osburn supported and recommended requests for bids on contracts with both the Visitors Center and Destination Marketing? Decisions are obviously in the bag prior to council meetings. No wonder some guy with the name of Steve Segner is so verbose on Sedona Eye letting everyone know how things are done in Sedona. Should we residents actually be thanking them for kicking us to the curb? I think NOT. Sedona would be blessed if Karen Daines Osborne worked in “Sedina”. Who will start a collection to make sure she finds her way back to “Sedina”? Talk about an contradiction ” intelllegent and hardworking city employee.” She can’t even spell when she tries to compliment herself. That’s ok, if the folks on this site have their way and Home Rule fails, the city would have to fire everyone anyway. We’d probably have the police chief walking a beat and the mayor holding court. Your parinoid !!!! You should get out more! I am sad to say that the city council doesn’t represent my interests or those of my family and friends. A no vote will be our call unless we hear and see that the advertising of Sedona is stopped completely. The only recipients of advertising revenue are national corporations like Hilton, Marriott, Kimpton and timeshares and small businesses that don’t see they are destroying our town. Pink Jeeps are being sold I read here! Now we’ll get a less caring jeep company owner? A predicament. I miss quality. No Incumbents, Sandy Moriarty, Scott Jablow, and Jessica Williamson. Janice Howes Hudson worked for government in Canada, probably not the least bit frugal. 18 Political Action Committee – #201800321 to be exact. Holli Plog, CGI Technologies & Solutions, $500; Nancy Mathews, School of Massage, $700; Robert Holeman, Sedonal Real Inn & Suites, $1,000; Wendy Lippman, TLAQ, $750; Cheryl Banon, Courtyard by Marriott, Sedona, $500. Diamond Rock LA Tenant LLC (L’Auberge), $1,000; Sedona Lodging Council, $2,000; Sedona Real Inn, $1,000; Sedona Rouge, $1,000; Canyon Breeze, $1,000; Canyon Portal, $1,000; L’Auberge, $1,000; Open Range Restaurant, $500; Sedona Pizza $500; Candle Magic, $1,000; Sinagua Plaza, $1,000. Now it would hardly be fair to leave out Sedona’s Very Special Persons of Interest who also favor extending Home Rule for future spending sprees: Stephen Williamson, husband of Councilwoman Jessica Williamson, $200; Kathleen Krisella, Pres. League of Women’s Voters, $50; Glenn Scarpelli, owner Sedona TV Now Media, $250; Marc Sterling, CPA & Tax LLC, Board Member C of C, $100; Kristain Kazian Chief of Sedona District Fire District, $100; Angela LeFevre, former city council member & former Pres. Democrats of the Red Rocks, $100; Barbara Litrell, former city council member & former Pres. 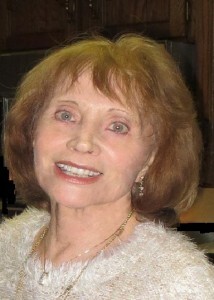 League of Women Voters, $250; Karen McClelland, Sedona School District Board member, $100. Public Information, Folks. It’s up to you to decide whether or not they REALLY represent Sedona’s Best (interests). Ladies and gentlemen, we may have a new record. 8 of my political signs were stolen between being placed at noon and 3 pm today, July 14, 2018. Signs are a red circle on a white background and read:: Tony T for Mayor, Save our Sedona Org Residents first. The following solicitation from Steve Segner is presently being circulated. ” I need your help. This is probably THE most important issue for Sedona’s future. We are at a turning point in our community. On August 28, 2018, Sedona Home Rule (Alternative Expenditure Limitation) will be on the ballot and the community needs your support. The city of Sedona by law cannot take a stand on Home Rule, but all the city councilors have said they support a yes vote. It has fallen on my self and a few friends to support the passing of Home Rule, but I need your help. If Home Rule does not pass Sedona will no longer be “A City Animated by the Arts”. The city budget will be cut by more then 50%…. There will be no money for Sedona’s basic needs, let alone the arts, like Sedona Film Festival, Chamber Music, grants, the Sedona Library, parks, the Humane Society, meals on wheels, and the community center, no St. Patrick day parade and it might be the closing of the Historical Museum. I could go on and on. A city is more then just roads, police, sewers and water. At it’s heart it is the arts and people that make a city. Please I need your support I need $15,000.00 to complete our marketing plan. I will not go into detail about Home Rule all the information you need in on our web site AZelections18.com. Please help go on line today and donate azelections18.com and pass this letter on to friends, and ask them to give and pass along. The Alternative Expenditure Limitation- on the ballot so voters can determine appropriate service levels for the community. A YES vote on Sedona Home Rule will allow the city of Sedona to continue to set its own budget spending limits locally through the existing budget adoption process. A NO vote will limit the city expenditures and cut the budget by 50% in July 2019. Poor fellow: ” It has fallen on myself and a few friends to support the passing of Home Rule, but I need your help?” – his desperation to solicit funds to maintain his control over Sedona is even more pathetic than the panhandlers @Bashas & Safeway. Seriously does anyone need a better reason to vote NO on HOME RULE? This elaborate and revealing cop-out from S. Segner even surpasses his guerrilla tactics during the initial election of Sandy Moriarty for Mayor four years ago. OMG! A class 2 misdemeanor carries a maximum punishment of 4 months in jail, a $750 fine plus surcharges, and 2 years of probation. I’ve got a $500 reward out there, You won’t get away with it. If you are caught, I give you my word I will follow through. Go to your Chamber of Commerce and ask them for the $15,000. They are rolling in dough (courtesy City of Sedona residents who approved incorporation – dumb idea). And since they, C of C, are never audited, maybe you can even hit them up for double that amount! Easy Peasy indeed. Last night they stole 24 Campaign signs, two 2’x8′ banners one 4’x4′ banner. Welcome to politics in Sedona. The $500 reward still stands. Most cities and towns do not give financial support to a chamber of commerce. If Sedona followed that policy it’s likely Home Rule would sail through without controversy. The blame goes to city council and staff who have been careless in making decisions Sedona voters do not approve of. It’s time to stop the nonsense and frivolous spending by voting NO to HOME RULE. At the same time, get rid of those on city council who supported getting Sedona into this mess and, in a way, start over. People are really really angry. And those hoodlums running around stealing Tony Tonsich signs are sending a clear message to what might very well be the silent majority who are finally fed up. Spoiled brats destroying property because they do not want to lose control of Sedona’s destiny and its purse. Ignore them, Tony T. The signs on my property promoting you and Vote No on Home Rule are under camera surveillance. This is beginning to get interesting. This Tony Tonsich must have his opposition really concerned if the best they can do is run around Sedona swiping his campaign signs. Indicates Mr. T has them very, very concerned. As a Sedona voice who, along with others, has been ignored far too long, my vote based to a degree on the attacks from the Chamber/Lodging gang will lean towards Tony T. However, it becomes important for him to remain focused and stay the course of his platform, ignoring the boisterous activity from the town criers who for far too long have been in control. Their only combat is spending thousands of $$$$ for thousands of signs and ads in the RRNews? All to continue support from city money for an elevated life-style to which they’ve become accustomed over the last few years. Time for a halt to this madness. Vote NO on Home Rule. Vote NO to Incumbents. Therefore if Mr. Segner does, in fact, achieve an additional $15,000 to complete his marketing plan, he will have amassed a total of $33,455 in order to accomplish his self-imposed task of acquiring the funding for his “marketing plan” to convince Sedona voters to maintain status quo on Home Rule. Amazing – that amount, $33,455 would go a long way in funding the non-profits Segner alleges will lose funding in the event Home Rule fails to be renewed by Sedona voters. In fact, he could even use that money to supplement funding for the Chamber of Commerce to maintain upkeep on their newly acquired properties (office in West Sedona; parking facility on Jordan Road) in addition to THEIR Visitors Center, that of the Chamber of Commerce and NOT City of Sedona. That $33,455 might also assist in meeting the payroll for the additional employees the C of C has hired in order to managed their newly acquired empire, courtesy of City of Sedona. Or better yet, Yippee & Hallelujah. With talent like that why doesn’t Segner go to work as Fund Raiser & Public Relations head honcho for the Chamber of Commerce and he could easily apply his talents to make up for their financial loss when passage of Home Rule fails and they (Chamber) lose their sweetheart deal contract with the City of Sedona. Keep swiping competitor’s signs, losers. It amount to free advertising for them because we can see you slobs for what you really are. Vote NO on Home Rule – Vote NO to Incumbents! It is about time the Chamber of Commerce and the City of Sedona are under investigation. I welcome the inquiries. The Chamber of commerce president has been sending desperate email communications to their email contacts in the community defending herself and her actions. Wonder if using the Chamber resources to protect herself is appropriate. Why the desperate attempt to stop the investigation. Also calling the investigation “False News,” well that sounds familiar under the political climate. A few elite entitled individuals run the Chamber of Commerce and the City for years. Only serving their pockets and helping friends to get jobs and or contracts within the city and with nearby towns. Also assisting friends to obtain seats at multiple city boards. Is why we always see the same faces on the leadership. When new people get involved on the Chamber are attacked by the Chamber President to stay out of their business. Sedona may be a small city but is a city made of great talented people, small business owners, and artists relocating to us and bringing money and new ideas. But because of this few, in control of the city, Sedona would never achieve a category of growth, and potential of say a Santa Fe City style of living. I suggest for a change and for the President of the Chamber of Commerce to resign and start with a clean slate. How long has this woman been on the Chamber anyway? Let’s take Sedona back to the community. Ask for her resignation today! Well it turns out that the fake news is Bob Thorpe with a false accusation about the partnership with the city and chamber, when they submit an allegation with missing critical documentation. The NEWS will drill down and uncover the person(s) that provide our state representative with false information. Obviously, Bob Thorpe can’t be trusted to represent us going forward. We appreciated the Sam Tardio video although we were unable to view it all the way through – too many difficulties with moderation or something. However it doesn’t really matter. Once we got to the part when “Councilman” Tardio addressed “egos” and “agendas” he had our votes. It was appalling to read yet another article in the RRN this morning (8/8/18) declaring how certain uptown merchants are “hurting with lack of Phoenix ads.” For crying out loud, what’s to stop them from doing their own advertising?!!!!!!!! DUH!!!!! It most assuredly isn’t the responsibility of citizens of this country, let alone Sedona, to have their tax money going to promote private, profit making enterprises. Translated: ADVERTISE YOUR OWN BUSINESSES. But perhaps the most alarming revelation appeared in the contents of a full page ad. Because we recalled the source of a quote appearing therein hopefully it’s appropriate to address the comment which speaks volumes. Lordy Lordy perhaps the most sound advice we ever heard from Wesselhoff. And those words from a woman who professes to really care about residents’ quality of life? Now we know how to precisely deal with the vipers aka “dangerous creature(s)” who have creatively managed to manipulate and spew their greed and negative energy onto not only Sedona residents but tourists visiting here as well. Let us activate the remedy BY VOTING NO ON HOME RULE & do NOT REELECT INCUMBENTS. Well we’re done patronizing businesses that are even members of the Chamber. Stopped that three years ago. Guess what? While some merchants uptown are whining there are some outside Sedona City Limits boasting that this is the busiest they’ve been this time of year or maybe forever. There’s a comment on another online from a fractional owner of a Sedona Resort and after checking out the name on the comment just happened to be an example of one of those non-city-tax-collecting venues!!!!!!!!??????? Yup no complaints about lack of Phoenix advertising from that neck of the woods. Who wouldn’t stay outside a place that’s overblown and rapidly becoming the “Best Destination to Drive Through” on your way to Flagstaff/Grand Canyon or elsewhere????!!!!! Losers aren’t only Sedona residents. 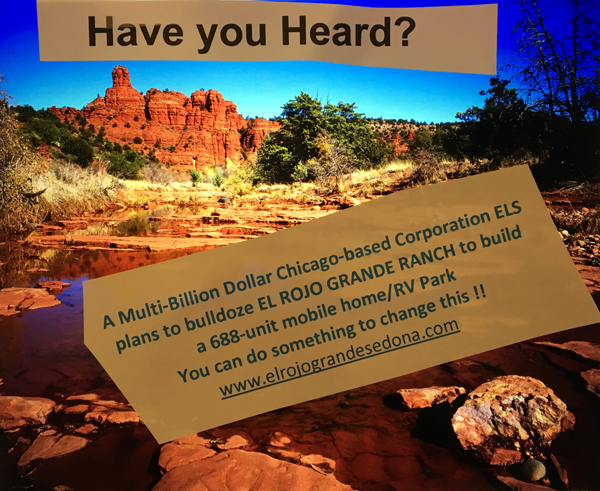 They are the in city businesses collecting outrageous taxes for products and services that are available just down the roads (state highways) leading in and out of Sedona. The vipers are NOT Sedona residents. They are NOT Sedona businesses. They’re those gouging any convenient sap willing to buy into their BS. And Jennifer Wesselhoff’s words as provided in the Red Rock News are proof. Who else would be so bold and confident to indirectly crow about the arrogant success they’ve had in controlling City Council(s), City Staff (some of them at least) but mostly stupid in-city businesses to pay their high membership dues to have out-of-city businesses get much of the tourist trade? Go figure!!! Don’t forget, Folks. AG’s office is still determining a potential violation of SB1487 and then there’s the recent filing of a law suit against the not-so-great City of Sedona about signatures on the petition for the November ballot measure. It ain’t over yet folks. But if you don’t vote them snakes out – get rid of THEM as suggested by the Chamber CEO – it will be YOUR fault – NOT theirs (Chamber and cohort Sedona Lodging Council). HOT DAMN CITY GOT HANDED ITS (Deleted by Editor) in AZ Liberty decision today !! Waaaaaay to go !!!! I will truly miss Audree. She’s always been a bright light in our dark City Hall. Don’t cheer too loudly – yet! The pricey pamphlet mailed out by the AZ Elections 18 PAC Inc. (NOT to be confused with AZ Liberty) is another attempt to scare people into voting YES on Home Rule. DO NOT BE FOOLED. This PAC is sponsored by the Segner movers and shakers who would have Sedona paved over and developed for big business & big city look. Seriously . . . don’t buy into the scare tactics. Voters decide: Vote “YES” on Home Rule to Pave Paradise OR Take action and Vote NO on Home Rule to Maintain & Restore The Beauty of OUR Sedona. YOU DECIDE BY YOUR VOTE. More false news has surfaced that passage of the November ballot PBA could cap city spending at $25.2M. The truth is the proposed PBA cap would be $36M, roughly what the city has spent each of the last five years. The people promoting unlimited spending apparently have no ethics and nothing if anything will stop them at having their way with their pals at City Hall. Do Not Fall For It. Vote NO on Home Rule. If the PBA caps spending at 36 M which as you say is what the city has been spending the last 5 years then what’s the big deal about Home Rule.. Seems to me they been fairly careful on spending if it hasn’t changed in 5 years..
You seem to be the on being deceptive. Nice try but your twisting of the true situation aka “facts” ain’t cuttin’ your pathetic response to my first comment. However I do thank you since you represent a classic example to which I referred. Spin, spin, spin. And, quite frankly, your rebuttal was not only lame but lacked class. Does no one else see anything wrong with the fact that 35 people who don’t live in our city are allowed to sign petitions that involve something this serious? How can that be legal? @I Can’t Believe this! Quite honestly, I can’t believe it either. Never, ever do I recall having signed a petition when the person carrying the document doesn’t have a qualifier declare the county they live in and then sign a petition accordingly. What also leaves a question in my mind is did people from outside Arizona sign the petition? Of course, that question was answered because the signatures were verified at the respective county recorder’s office – but it makes about as much sense. Anyhow, we won’t be voting on that ballot issue until November. That’s also confusing. I’m afraid many people don’t understand. HOME RULE will be decided on August 28th and is really a separate issue than the Permanent Base Adjustment to be decided in November. This is nuts. Probably if the City Council had never entered into the contract with the regional Chamber of Commerce in the first place there would be no need for all this controversy. And over the years the city would be millions dollars richer – $2.5 million just in the last year because of the stupid Chamber contract. Go figure. My vote will be NO on Home Rule and will decide how to vote on the PBA in November. Serious, like giving registered voters a choice? So you think our all wise city staff should make all the decisions for we lowly voters? After all, they’re professionals. Don’t some call streetwalkers “professionals” too? How can it be legal that the City Council approved a law to GIFT to a regional-chamber-lodging group without the in-city-businesses vote? How can the CC override the state law of .5% for tourism improvements including parking traffic police and WASTE MILLIONS on a regional CHAMBER? It‘s interesting Mike Schroeder say he is saving the citizens of Sedona from disaster if home rule does not pass. But Mike and Dwight, Sedona Tea Party twins will save the city with their Permanent Base Adjustment (PBA) low balled initiative in November. The PBA may be a good idea for the city, but not with number used by Mike and Dwight. We need a number that is well researched and planned by the city, the proper authority to understand it’s needs and future needs. Keep in mind, Mike and Dwight -PBA set at $36 Million, is $10 Million below this year’s budget is design to put the city into a financial vice, and not allow it to spend the funds coming in because of our robust “tourism economy.” At this level of financing, the city would not have the fund for matching grants from the state or feds for road and highway improvements. The city even sees the wisdom of such an analysis on a future PBA, possibly in 2020. Their refusal to bend to the Mike, Kadar and John (Currivan) attempt to corral the city into supporting their ill thought out PBA is good government in action. No one person, or persons gets to run the town. It’s called a representative democracy. When Home Rule passes nothing changes. The city can continue to invest in new roads, flood control, wastewater plant improvements, non-profit grants, traffic reduction projects, etc. And with Home Rule, there are no new taxes. Our city council will control all funding for the city, just as they have for the past 30 years. If home rule does not pass, then next year the city will need cut spending to get under the state limit. Police, public works, street maintenance, all traffic reduction projects, non-profit funding, etc. will be severally cut. It has been estimated almost 75 prescient of all city employees could be laid off. Wastewater fee could go up to cover shortfall in funding. Almost $20,000,000 a year will go to savings account that can not be used by the city, for any reason even if Sedona had sever flooding or fires. Arizona Liberty, (deleted by editor) created by just two people, one of whom does not live in Sedona want less government, less spending, less services, even if the majority of the city funds come from our tourists. “Yes on Home Rule” lets the city council control Sedona’s tax dollars not Arizona Liberty or the state. Mike and Dwight, the Arizona Liberty team set the new funding limit on his PBA at more then $10 Million less then the city is now collecting in Sales and bed tax! Tourists pay all the bed tax and 66% of the sales tax. Ask yourself, what is their motive? Arizona Liberty PAC is a long time supporter of Sheriff Joe Apario, Senator Sylvia Allen and Paul Gosar, all, far right wing extremists who will stop at nothing to pursue their agenda. What is Arizona Liberty’s real agenda? Arizona Liberty, (deleted by editor) created by just two people, one of whom does not live in Sedona want less government, less spending, less services, even if the majority of the city funds come from our tourists. YOU do not live here, Segner, and your lodging association was not in good standing for years,until that whiff of money. sniff sniff. You can hear for yourself Segneer and Wesselbolf say they want 100% of CITY-Bed-tax. Suugner says Trust Us and also say HE wants 45% or more of bed-tax. This is HOW Sedona operates. Please read this email from 2014. And you yourself, Steve Segner, reside in Oak Creek Canyon but use your business address in order to vote in Sedona City elections. And that’s OK? Furthermore, where do you get your information that Arizona Liberty is affiliated with the Tea Party? And you claim to relate only facts? Such a pity if it means the City/Chamber of Commerce Contract will be cancelled. YIPPEE! Say what? Why would wastewater fees go up if the city will have money resting comfortably in the bank, unable to spend it? You make NO sense. However, the bottom line here in my opinion is your ranting and almost hysterical latest diatribe sounds like a man who seems just a trifle upset that at long last he may be met with defeat. Oh Residents of Sedona – if ever you need to use your voices to silently sound off via the American Way, CASTING YOUR VOTE, do so now or forever hold your peace. Then review, study, and decide how you will vote on the Permanent Base Adjustment to be determined in November. But conspicuous by absence he never mentions the insane contract the city has with the rogue chamber of commerce won’t be terminated. Now maybe just maybe if Segner were sincere he would list that as number one to be cut. As illegible as his writing is, he avoids that like the plague but indeed if the Chamber were cut out of Sedona city government there might just have been a rallying to approve Home Rule. Ain’t gonna happen. Too late. Time to let them know it’s the people’s voice here that counts and not just those with an inside key to City Hall. Out with the old, In with the new. NO on Home Rule. NO to Incumbents Moriarty, Jablow & Williamson. At any rate, if the complaint has merit the city should rightfully be ordered to cancel the damn C of C contract and be done with it once and for all. Then maybe we can live by the words of Mayor Moriarty in the video on this site. Expressly? 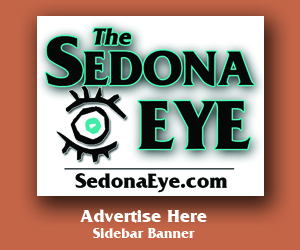 Tourists will come to Sedona with or without advertising. Sedona was discovered a long time ago and NOT because of a now wealthy but useless (except for themselves) C of C. Good riddance to bad rubbish. AG’s office P-U-L-E-E-Z-E. Put an end to this atrocity. What, no comment about Sen. Burges withdrawing her 1487 complaint? The new submission is even crazier than the first. 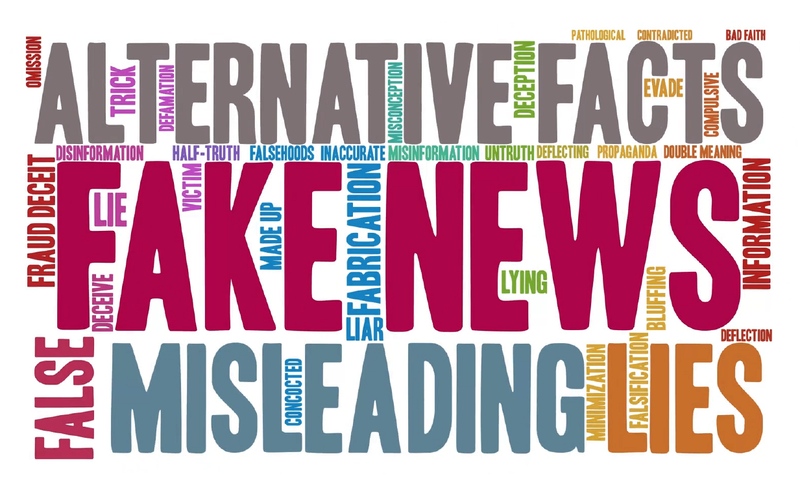 No facts, all Fake News. Bob Thorpe, please (Deleted by Editor) admit who provided you all the false information to begin this mess. Our first Unofficial Election Night results will be posted online at 8 pm (Arizona time). This first report will be the votes from early ballots counted through today. The subsequent reports will contain early, polling place & vote center votes.